“When freely associating the deities of Japanese fishing people one commonly thinks of Ebisu, Konpira 金毘羅, Ryujin 龍神 and many more.12 However, their characters vary by region. Here, we will pick up probably the most prominent one of them, Ebisu, to explore deeper layers in the meaning and functions of Japanese fishing religiosity that lay beyond the popular image of this deity. Ebisu is enshrined all over Japan as the deity of merchants and fishermen but also simply as a deity that brings fortune for anyone. 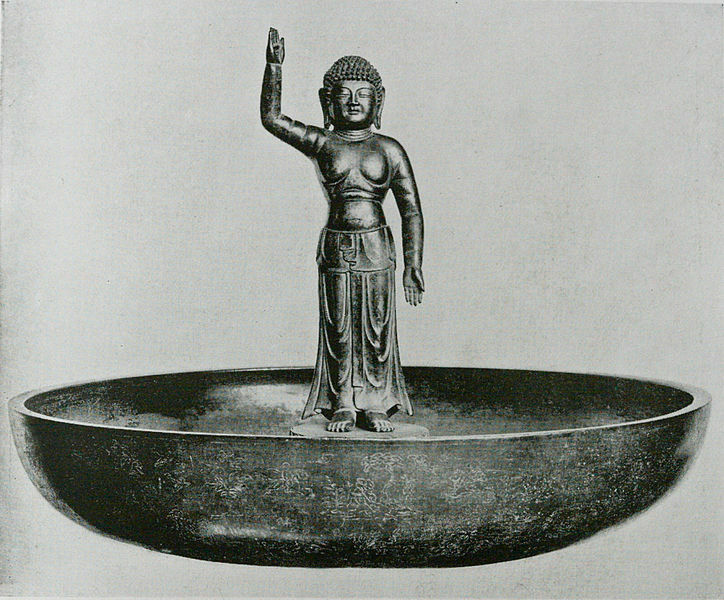 Most manifestations or illustrations show this deity in the kind of Ebisu SaburØ 恵比寿三郎 (Illustration 1-a), i.e. 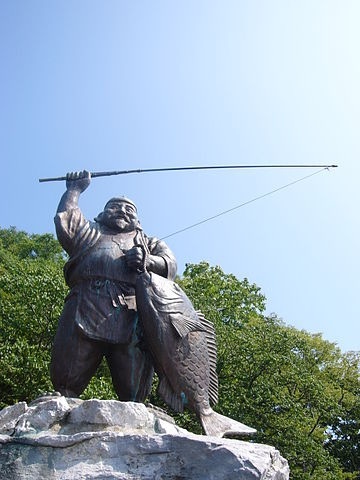 as a voluminous laughing man with a fishing rod in one hand and a red fish in the other.13 Ebisu is often enshrined in pair with the Daikoku 大黒 as both are associated to the so called Shichifuku-jin 七福神 (seven deities of fortune). However, the Ebisu in most fishing villages differs significantly from this rather folksy iconography. “Naumann compares the Ebisu worship with hunting ceremonies, an interpretation that is worth referring to at this point, because we will deal with related aspects later in this paper. 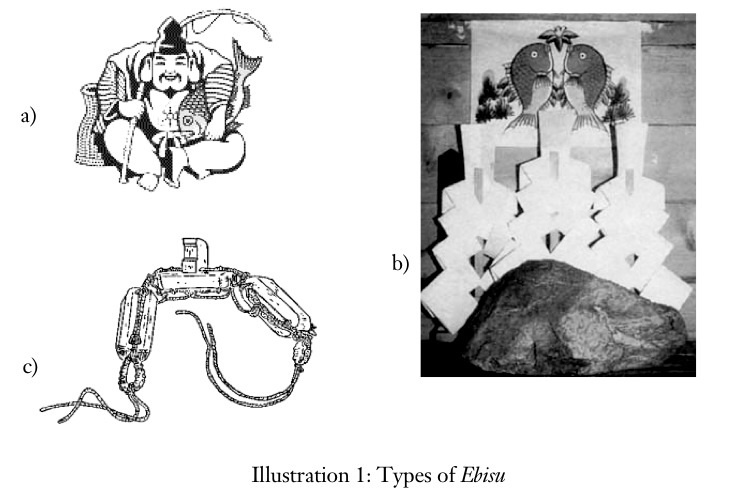 Wikipedia entry on Ebisu … it is often noted as in this article that Ebisu is a local and indigenous deity, however, the above paper by Wilheim shows Ebisu as a visiting yorigami deity that has to be attracted back to his shintai.